Soymilk has always been loved by Chinese people. In the current situation of health care, I believe that there is no need for reminders from various nutritionists. Most people know the benefits of soy milk. Especially in recent years, plant protein is hot, soy milk is rich in plants. Proteins and phospholipids, vitamin B1, B2 and niacin and other nutrients can be said to be healthy and enjoyable. 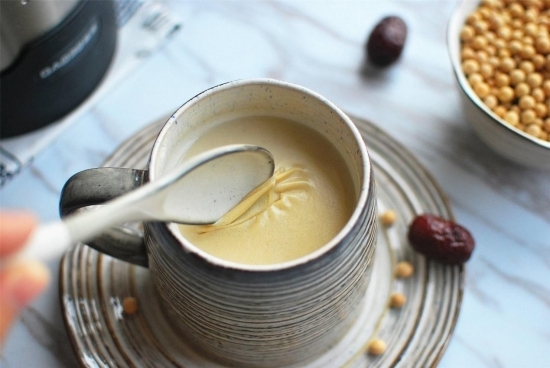 However, in the current fast pace of life, homemade soymilk is time-consuming and laborious. It is a luxury to want to have a cup in the morning. Therefore, most people will choose a breakfast shop and a convenience store to buy. People who drink can know most of the take-away soy milk. 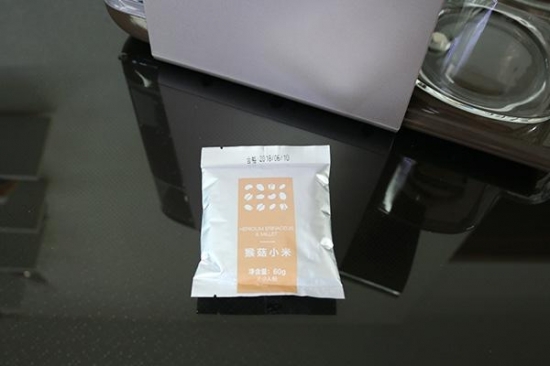 It is a soy milk powder, not only the taste is greatly reduced, but also not to talk about nutrition. In addition to the fast pace of life, Soymilk requires a certain amount of time and effort from pulping to cleaning. The most important thing is that it is difficult to clean. For many users, soymilk cleaning is a difficult problem. It has always become a land of dirt and dirt. After a long time, it will deteriorate and stink, not only does it look bad, but also affects future use. 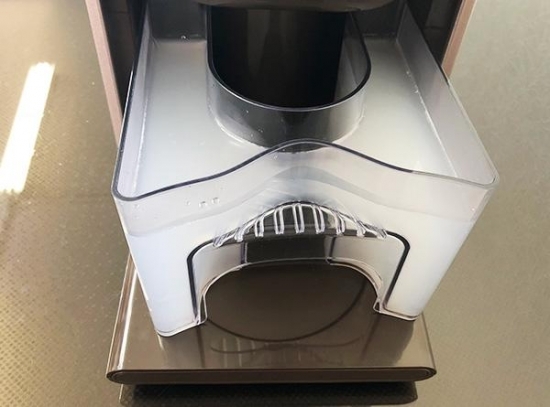 In response to this situation, Jiuyang launched the latest iterative product this year -No need to wash the unbroken soymilk machine K1. 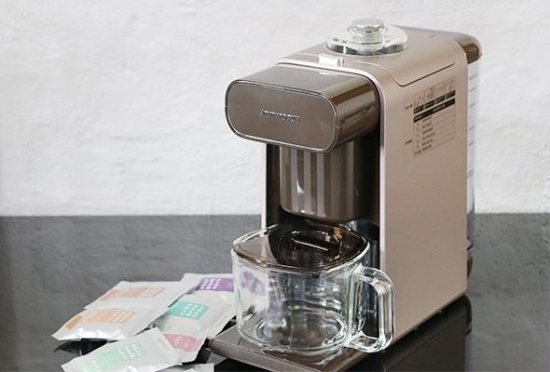 The 'new species' in this soymilk machine solves the inherent problems in two industries with one product, which can be said to be very innovative and user-friendly. 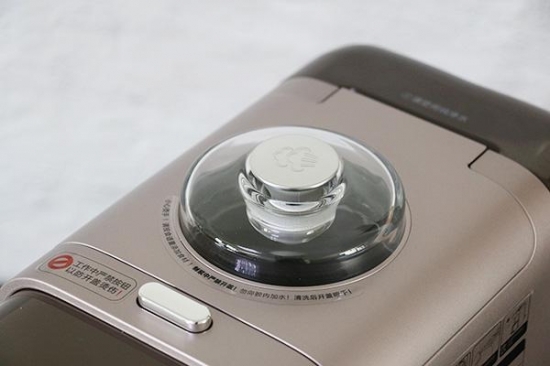 So, let’s take a look at these innovative features of Jiuyang K1 today. The value of this soya-bean milk machine is believed to be no more than I have to say. The comfortable brown color + simple and smooth lines, and the slim body of A4 paper size make it big in the kitchen or in the office. Show your skills. 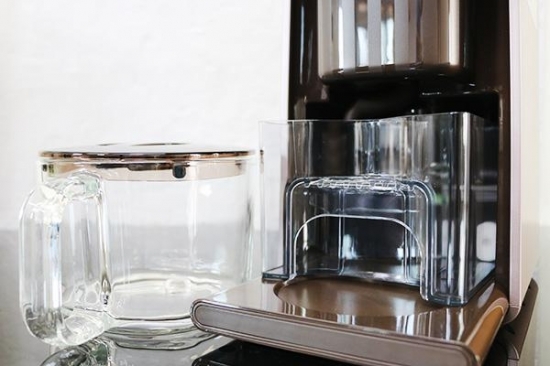 Whether it is the food-grade glass of the splicing cup and the glass cover or the convenient water storage box, it can be seen that Jiuyang is closely related to simple fashion and health in product design. 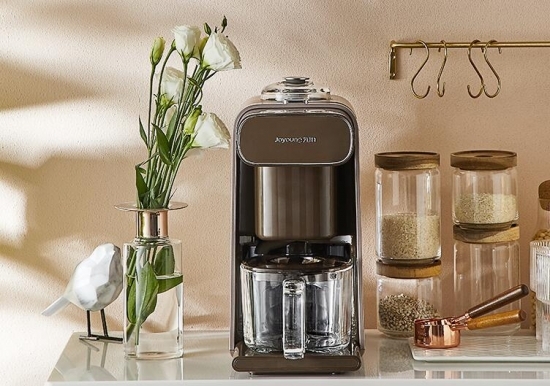 The soymilk machine that can be self-cleaning believes that everyone has not seen it. For the first time, we will run the cleaning program first. 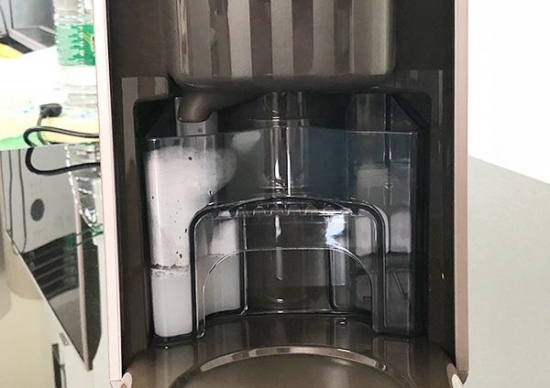 Add pure water to the washing water level of the soybean milk machine, install the water tank, press the 'Cleaning' button, tap the quick cleaning, long press for deep cleaning, select start. After starting, we can see that the water in the water tank drops rapidly. K1 can carry out 2.3m head high-speed spray washing through the built-in water pump, while heating the water internally, and steaming at high temperature to achieve sterilization and disinfection; , to drive the water to wash the inner wall, to achieve deep cleaning effect. 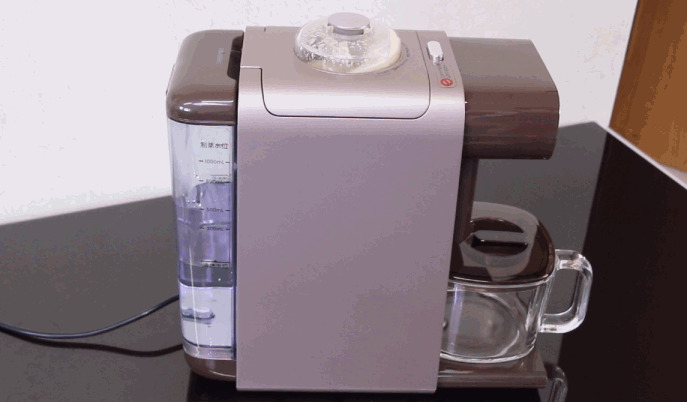 The 3 minute quick cleaning function ends, and the water automatically flows into the remaining water tank. We just need to pour off the remaining water to carry out the next step. After the simple cleaning, we started making soy milk. 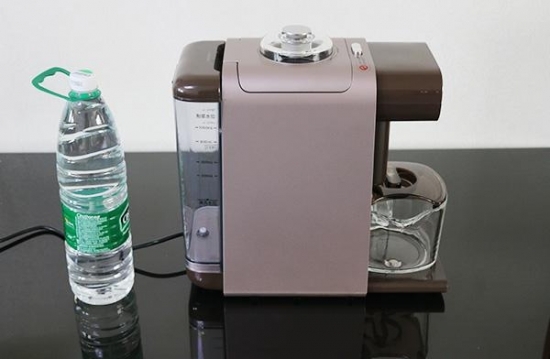 Open the food package provided by K1, unoccupied soya-bean milk machine K1, and add water to the water level of 300ml. Select the 'nutty dew' function on the control panel. After a few flashes, the soymilk machine starts working. In just 5 minutes, the complete pulping process is completed, the soymilk is automatically pulped into the cup through the bottom end hose, and the soy milk can be poured into the cup without tilting the heavy body. When the soybean milk is automatically flowed into the glass pot, the pick-up cup can be picked up. This machine will automatically sense the water from the rear tank and perform automatic steam cleaning. We can see that through the cleaning process, the chamber is from time to time. 3. The bean dregs are stirred up with the water flow. 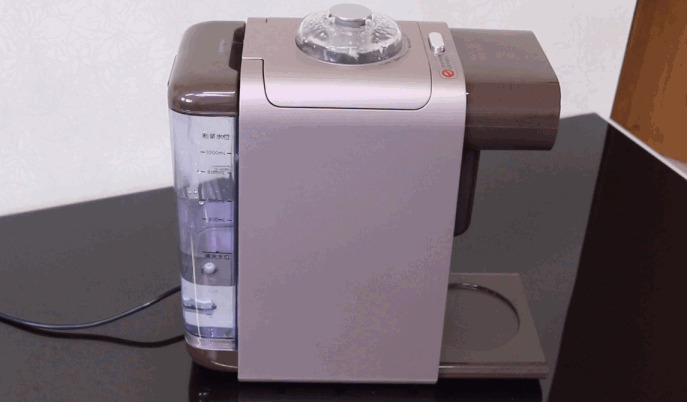 From the water pump spray washing, high temperature steaming to the blade stirring, the K9 unmanned soya-bean milk machine K1 is completed in just 8 minutes, completely without our own hands. After the self-cleaning process is completed, we open the top cover of the soya-bean milk machine and find that in addition to some residual water stains in the inner cavity, the pulp residue such as bean dregs has been washed into the residual water box by the water flow, which is difficult to clean even with the traditional soya-bean milk machine. The cutter head part was also cleaned. 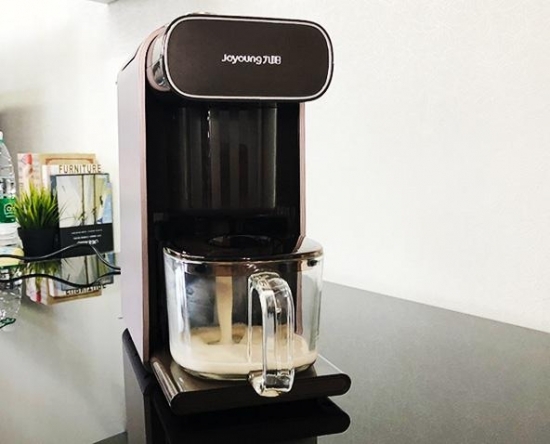 In the whole process of pulping, Jiuyang unmanned soya-bean milk machine K1 has three advantages, such as precise control, rapid pulping and essence cooking, to achieve the fastest speed of 300 ml one-person pulping in the fastest 5 minutes, so that you naturally Quickly enjoy the nutritious and delicious. 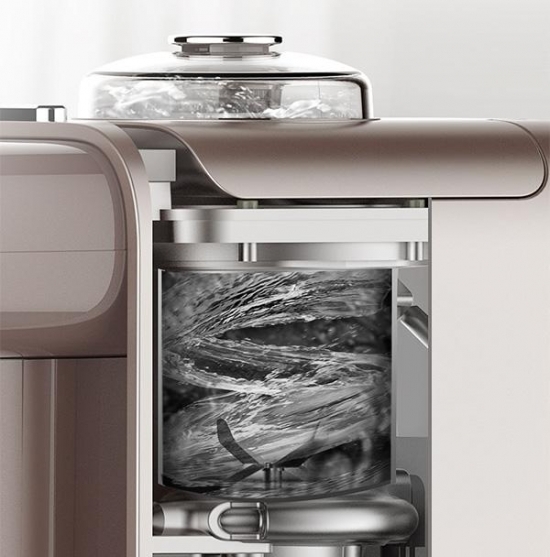 Self-cleaning program intelligently starts, seamlessly combines the two processes of pulping and cleaning, saving time and effort. To make a good taste, a balanced drink, it takes a period of exploration and experience to accumulate ingredients, which is a problem for many first-time friends. And Jiuyang uncompleted Soymilk K1 provides The 8 food packs quickly solve the distress of preparing ingredients and matching. Different optional flavors are available in the bag, and the scientific ratio ensures nutrition and taste. 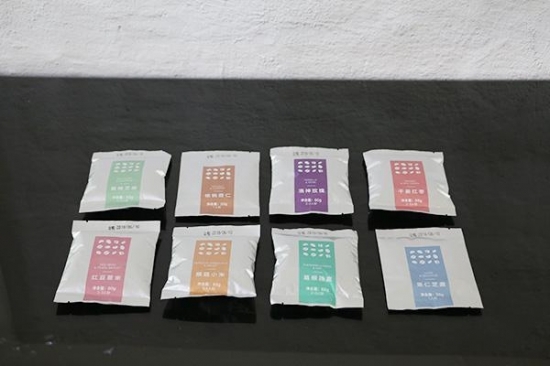 Not only that, the different package formulas introduced by Jiuyang also make a professional distinction for different groups of people and different needs, making it more therapeutic and effective, and can meet the individualized health needs of different members of the family. One product is suitable for the whole family. As we all know, the so-called 'broken wall' can break the cell wall of food by high-speed operation, which is more conducive to the absorption of nutrients. 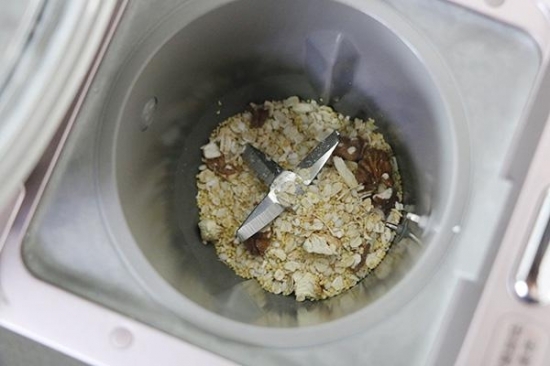 Some foods that are not easy to be crushed, such as nuts, high-speed broken-wall cooking machine can also be crushed very well, and The crushed food is more delicate and more digestible. 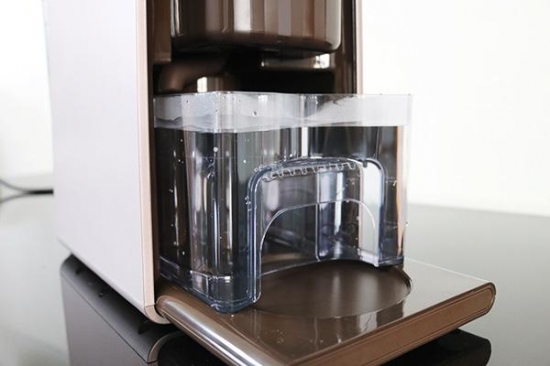 This unmanned soya-bean milk machine K1 also has a strong wall-breaking function. In order to test its broken wall function, we use a pure nut combination - 'walnut almond' package for pulping. Throughout the process, the nut material is strongly concentrated through the internal space of K1. The three-dimensional high-speed grinding makes the food material cut many times in the narrow grinding chamber, and finally completely smashes, the wall breaking efficiency reaches 80%, and the motor rotates 20,000 rpm. No need to filter, and fully preserve the dietary fiber and nutrient content inside the nut. 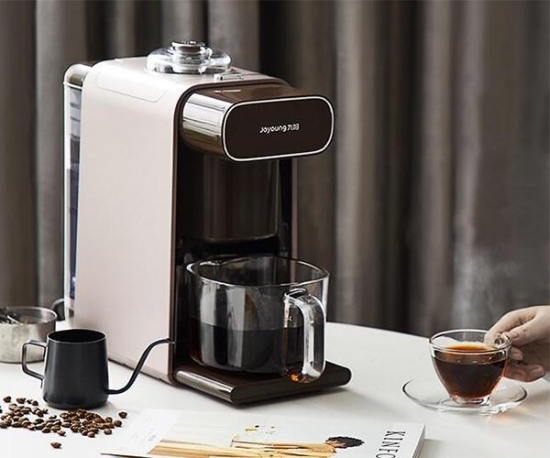 In addition to making soy milk, Jiuyang K1 has more application scenarios: plus a strainer to make a cup of pure American coffee, the office and study are also its use; children's favorite fresh juice can also help you in minutes , is a model of multi-purpose machine. The mainstream consumer groups in today's society are 'post-80s' and 'post-90s'. This part of the population lives in the city, the work pressure is high, and the pace of life is fast. 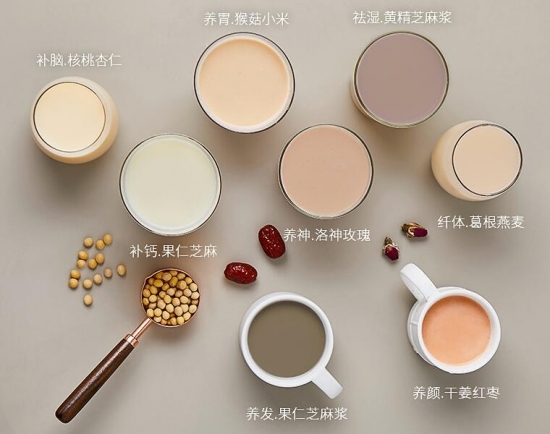 Jiuyang uncompleted soya-bean milk machine K1 does not need to wash, five minutes of fast drinks A series of innovations such as light nutrition package, broken wall health, and high fashion value bring a new, trendy lifestyle. I believe that the majority of '80s' and '90s' will fall in love. it!